Tom, those of us who follow the Caucasus with interest admire and appreciate your writing. Thank you so much! This article has some good information. Thank you very much. But let us please be clear that while Armenia is a truly ancient nation, Azerbaijan came about only in 1918. This is a common mistake. I recall very well the book The Global Chessboard by the late, esteemed Zbigniew Brzezinski. He was, of course, on the Honorary Board of Advisors of the US-Azerbaijan Chamber of Commerce. 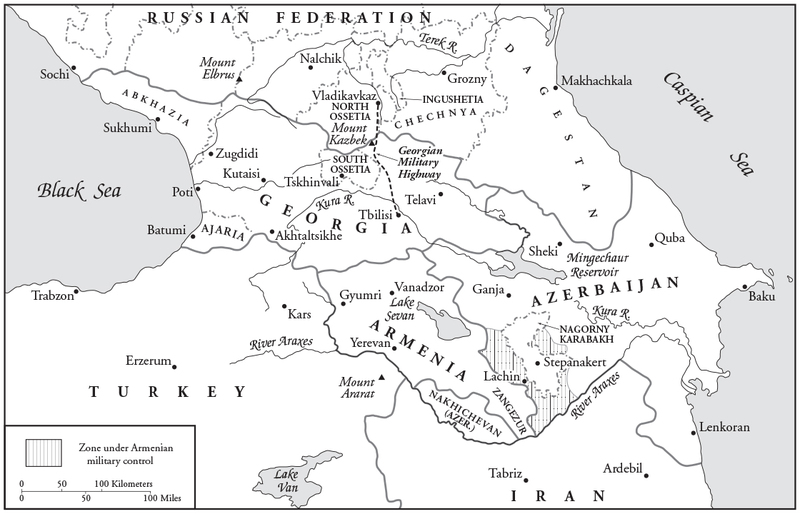 In that book, he erroneously wrote that all these countries in the Caucasus are "ancient." Sorry, but Azerbaijan is not ancient. There was never a country named Azerbaijan on that land before 1918. That is a fact. David, you are trying to talk sense to someone with an agenda, and one that is resolutely anti-Armenian. It is even worse than the sort you get from Turkey or Azerbaijan, because it is disguised. It is futile to do anything except question the author's credibility and right to speak about Armenian issues and related issues. Thom, thanks a lot for the book and your research on our region. Very glad that the book is not limited with political aspects, and sheds light on economy and culture of the region. Let us believe that the 3rd edition will be published without the 'last three', and hopefully, Azerbaijan and Georgia will get back their historical lands. Mr. Valiyev, do not worry, Mr. De Waal is truly on your side. If it were up to his country, we Armenians would not exist.